A few years ago our family held a picnic in a local park. I organized a softball game with the boys and I playing the field and the girls hitting. My sons and I are avid ball players and although we didn’t hit and only played in the field, I gave us runs from time to time to make the game competitive. I thought we would win, as I was in control of how many runs we had, but the girls pulled out the victory in the bottom of the last inning with some clutch hitting. They were better hitters than we expected. Before you wonder how experienced baseball players could lose to “girls,” you should know that I set the bases up about 30 feet apart. The regular diamond distance for a little league game is 60 feet and for major leaguers it is 90 feet. The fact that the bases were only 30 feet apart doesn’t take away from the girl’s victory; it just explains that their accomplishment was up to the task given. Their level of experience playing softball was very little. 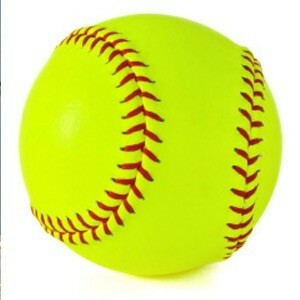 So the distance to the bases was adjusted and the expectation was lowered from the regular softball distance. It seemed fair to me. In so doing, I was reminded that the expectations that the Lord has for each of us varies with our experience and background. Sometimes the playing field we set for others and ourselves is far over our experience. Some of us are already playing on the 90-foot diamond and our expectation for others is that they too are ready for the “majors.” When the distance is set too high many become discouraged and begin to lose hope. Not only do they become discouraged, often they no longer want to play in the game. Sometimes we watch others on the big “diamond” and hold ourselves to unrealistic goals. This too can be discouraging. The week after we played our “girls vs. boys” game, I was encouraged by my wife when she said, “I had a lot of fun playing softball the other day. Do you think we could do it again?” I laughed inside and wondered to myself if she would feel the same way if she and the girls had been subjected to constant failure while playing on a 90 foot diamond? Probably not! I was always inspired by the words of President Hinckley when he would encourage us to “do our very best”. And “doing our very best” can be different for those of us with varied talents and abilities. The goal is to be ever improving at a rate acceptable to the Lord. Sometimes it is hard to tell what that is, but I think the Lord is a lot more merciful than we think. More times than not we look to “man” for approval, and oft-times the judgments of man are harsh. It is glorious to know that a merciful Father in Heaven gives equal opportunity to each of us by leveling out the playing field and giving us all a chance to be on the winning side of life.Let us be patient with others as they make their way around the diamond and may we have the same patience with ourselves! « Is Our Spouse Half-Empty or Half-Full?